Flatten the chicken thighs with a mallet. Season with thyme, lemon zest, salt, pepper and a drizzle of extra virgin olive oil. Dust flour on both sides. Heat a large skillet with a touch of olive oil and brown thighs 4 minutes on the first side. Flip the thighs over and push to the outer corners of the skillet. Add the chopped onion and garlic to the center of the skillet and cook 3-4 minutes; stirring occasionally. 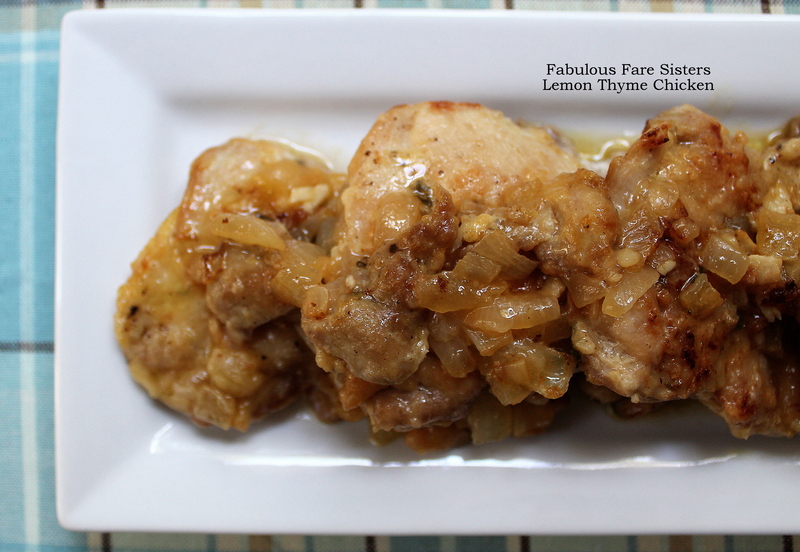 Place Lemon Thyme Chicken on a platter and drizzle with pan juices. This recipe has been shared on Throwback Thursday, Foodie FriDIY, Fiesta Friday, Family Joy, Funtastic Friday, The Pin Junkie, Saucy Saturdays...go check it out and visit some other great sites! I can see why this dish would appear regularly in your family. Lemon and thyme are always a good match especially with chicken. Thanks for coming to the party and sharing with Fiesta Friday. I am always looking for new chicken dishes. Yum! Yum! Thanks for sharing one of your treasured chicken family recipes. This post would make a great addition to Our Growing Edge, a monthly blog link up just for new food adventures. It’s a fun way to share your new food experiences with other foodies. This month’s theme is FAMILY RECIPES which includes any recipe or food experience enjoyed by your family. Lemon thyme chicken is always a winner. And like you said, so easy and flavorful!! I love to use onions to fortify a dish too. This looks great. Delicious! 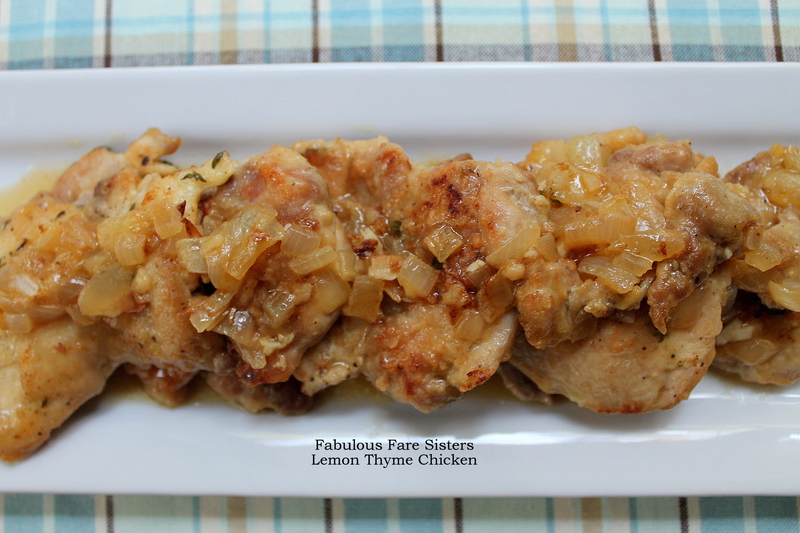 My family adores chicken and this looks delicious! I just love chicken and lemon together and am a thyme maniac. This meal looks amazing! mmmmmm, this will be on my menu this week!!! !